News Do you want to learn how to run CausalMGM on the web? 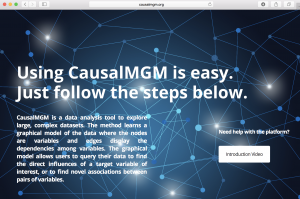 Do you want to learn how to run CausalMGM on the web? Vineet’s first author paper is accepted in Thorax!